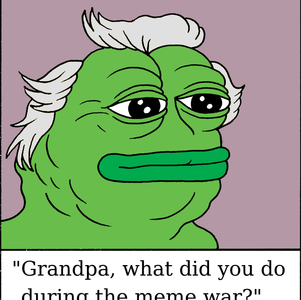 A lab on actions to overturn alt.right’s victory in the meme-wars. Just over a month ago the writer and researcher Florian Cramer gave a lecture in which he made he shared his research into little known factors influencing the rise of Alt.right. The lecture was a detailed mapping the emergence of a large white supremacist sub-culture. He succeeded in shining a light on the complex origins of the cultist language and image codes that had emerged on the so called message/image boards. 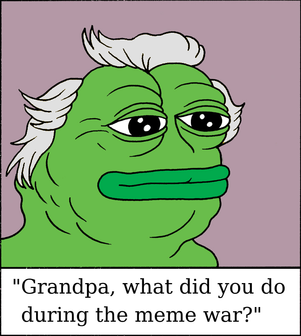 emphasis on the importance of the cultural dimension by taking the role of meme culture seriously. succeeded in making facism fashionable (or Fashy as alt.right call it). has succeeded in transforming the spectacle of protest into the reality of power. a smoke screen covering the actual dynamics at play. -“As If” the Artist as Trickster- taking place at the gallery Framer/Framed also at Toolhuistuin.